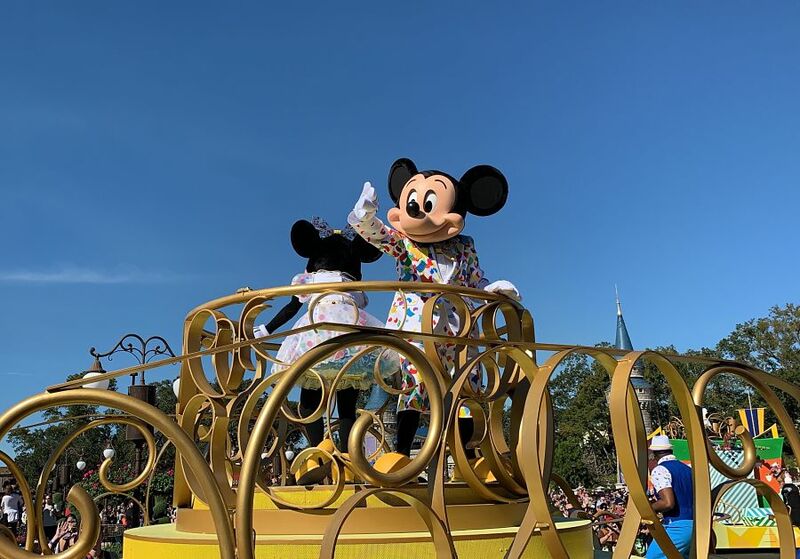 The Christmas decorations are all down in the Magic Kingdom, and now Mickey and Minnie’s Surprise Celebration has begun! Headlining the new festivities is the Move It! Shake It! MousekeDance It! 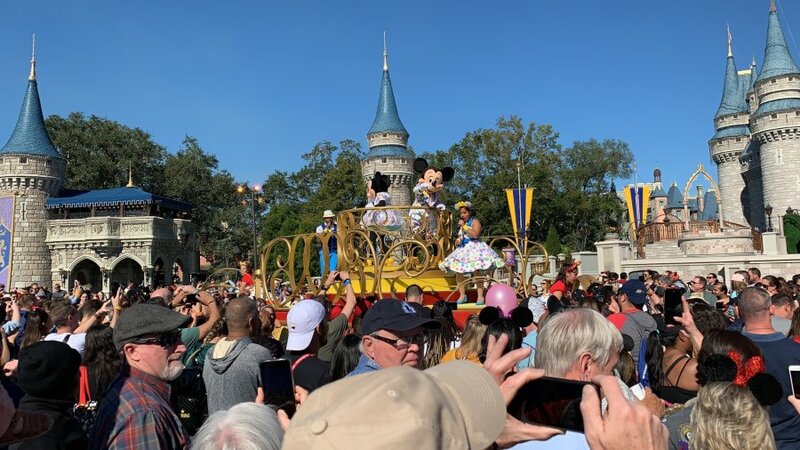 Street Party, in which Mickey, Minnie, Donald, Daisy, Goofy, Clarabelle Cow, and more dance head down Main Street, U.S.A. then stop for singing and dancing in front of Cinderella Castle. There was a surprising number of guests sitting in the HUB to hold their spot for The Move It! Shake It! MousekeDance It! Street Party. I even saw guests waiting when I first arrived at the Magic Kingdom at 9:30 a.m., meaning they were waiting for an hour and a half. By the time the street party started the HUB was completely packed. 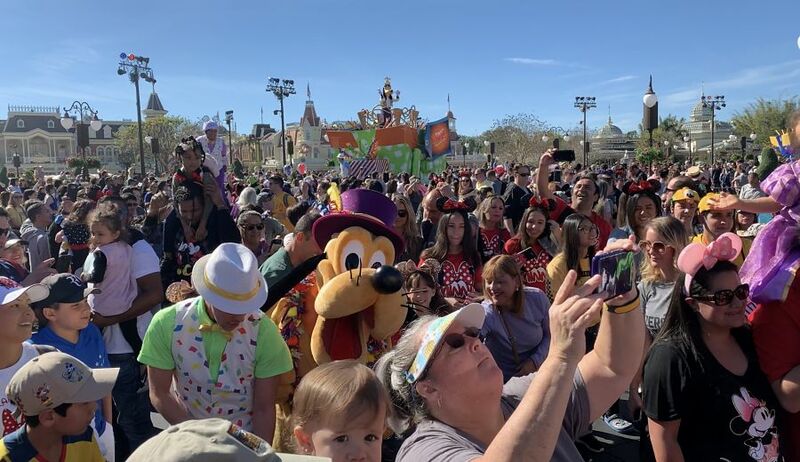 It wasn’t much of an issue until they invited guests to dance in the street, which created a huge rush of guests clamoring towards their favorite characters. Disney has welcomed guests into the street for these parties in the past, so I think this issue was primarily because this was the first day of the new street party, and guests were overly excited. The floats used were the same as the previous iterations of the Move It! Shake It! Street Parties. The biggest difference and improvement (in my opinion) was that all the music was either brand new original tunes or Mickey-themed music, instead of the modern pop hits of the past street parties. 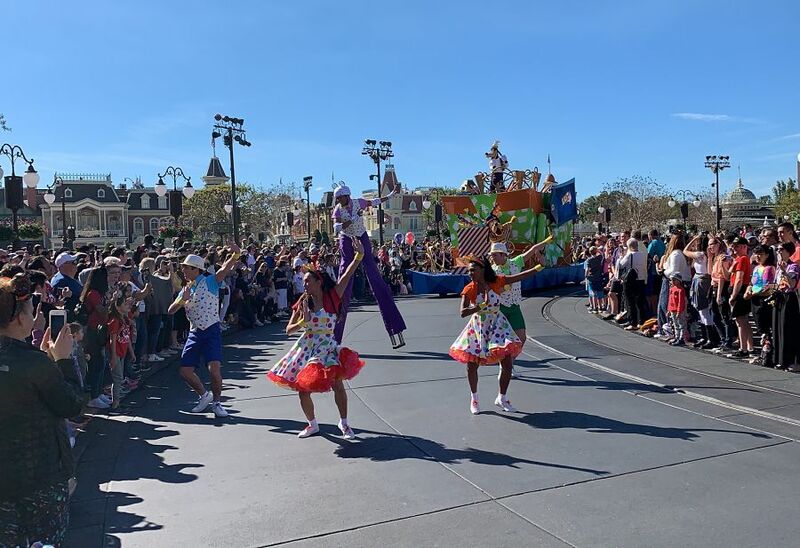 The polka-dotted costumes were also new and were upgraded as the old street party costumes were starting to look dated. Overall, the street party was cute and the guests really seemed to love it. It certainly isn’t something that I’ll need to see every time I visit the park as an annual passholder, but I’m also not the target demographic. Comparing it the other Move It! Shake It! Street Parties of the past, I thought it was an improvement.